Smoke and carbon monoxide detectors are not just important to your safety; they’re also legally required in most states. That’s because detecting these threats early can make all the difference in terms of your safety in the event of a fire or a gas leak. 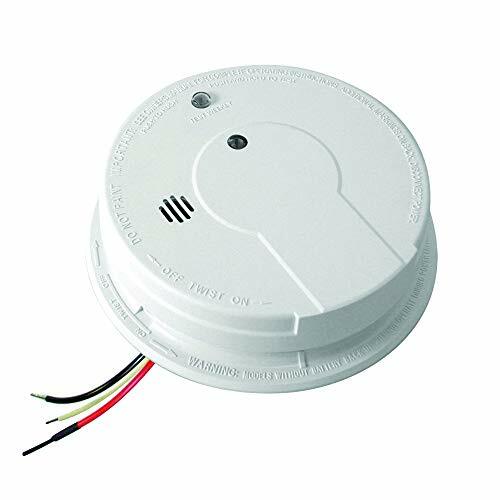 Kidde is one of the leading manufacturers of smoke and carbon monoxide detectors. We like Kidde not just because it’s been in the fire safety business for over 100 years but also because it offers a wide variety of affordable and dependable detectors so you can find the right fit for your home. Because Kidde offers such a wide range of detector options, we’ve chosen a few of our favorites for you to check out below. Kidde’s Hardwire Smoke Alarm is about as simple and reliable as it gets. The lack of frills and add-ons keeps this detector simple and affordable. The hardwiring takes more time and skill to set up, but it pays off since the detector won’t eat up as many batteries. That said, Kidde added a backup battery so your detectors still work when the power goes out. 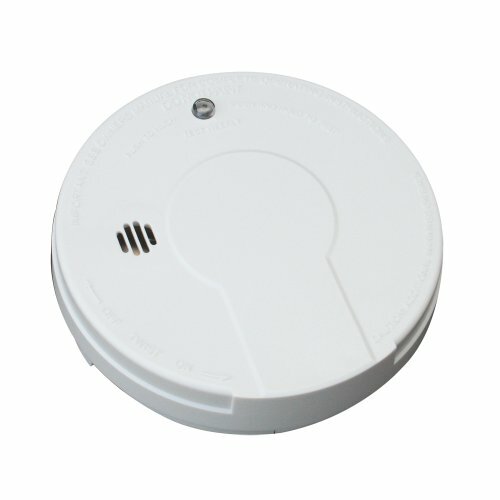 If you don’t want to deal with hardwiring your smoke detectors, these Kidde battery-powered detectors will save you a lot of time during the setup process. That makes a big difference if you’re installing more than a couple detectors at a time. That said, Kidde recommends you replace the batteries every six months so you can ensure your detectors work properly when you need them most. 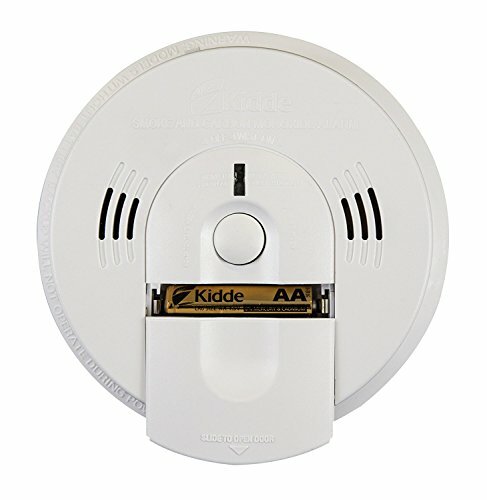 Kidde’s battery-powered carbon monoxide (CO) detector has a digital screen that broadcasts CO levels in your home. The system updates its reading every 15 minutes to ensure consistently safe air quality. If the device detects hazardous levels of CO, an alarm sounds that prompts you to move to fresh air. Like the battery-powered smoke detector, this detector is easy to set up but will require new batteries every few months. This is the smartest detector on our list. Not only does it monitor for smoke and CO at the same time but it also distinguishes alerts with specific voice commands. That way, if you’re awoken in the middle of the night, you’ll know exactly what kind of threat you’re facing. This detector kills two birds with one stone, so to speak, and it’s really simple to set up. The only downside? You’ll have to compromise a little when placing it because smoke and CO detectors are usually placed at different heights. Even a few seconds can make a big difference if you and your family need to evacuate the house due to a fire. Smoke detectors should be placed thoughtfully throughout the house to quickly alert you to any threats. Even a few seconds can make a big difference if you and your family need to evacuate the house due to a fire. That being said, you’ll want to place a detector inside every bedroom, in the hallways outside bedrooms, and at least one on every level of the home. You should also place a detector in or near your kitchen and in separate rooms like your living room, den, and dining room. If you have a basement, place a detector on the ceiling and at the top of the staircase. While heat and smoke rise, carbon monoxide mixes evenly into the air. Since it doesn’t collect like smoke, it’s best to place carbon monoxide detectors around knee level, which is roughly the level that people sleep at night. 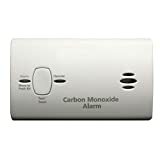 Sleeping is when you’re most vulnerable to carbon monoxide, so having a detector on every floor is the best way to catch any carbon monoxide in the air before it becomes dangerous for you and your family. Investing in high-quality detectors will not only keep you and your family safer, but they’ll also spare you the headache that comes with managing cheap, finicky alarms throughout your home. Whether you opt for battery-powered or hardwired detectors, Kidde’s products have a strong reputation for reliability, meaning they’ll be ready when you need them most. Of course, if you don’t want to self-monitor for smoke and carbon monoxide, take a look at some of our favorite professionally monitored home security systems.